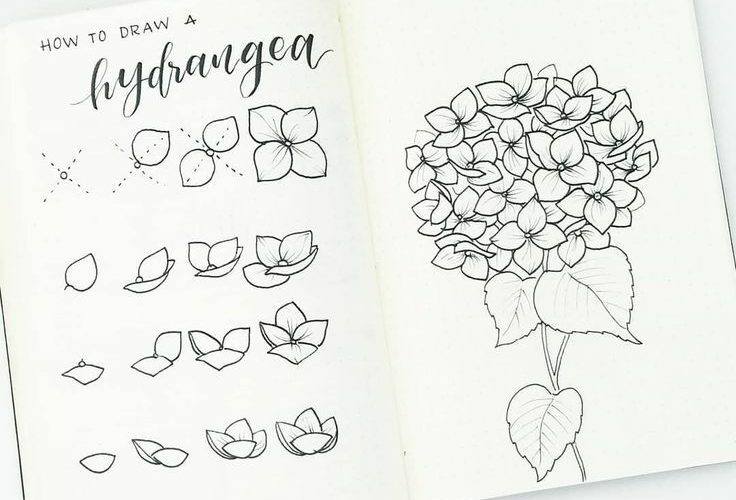 How to draw hydrangea flowers. On the left, i break down the steps to drawing the individual flowers (which have four simple petals) from different perspectives. On the right, I put them together into a bunch! To make the bunch, be sure to start with a circular or oval shaped guide to help know where the edge of the bunch will be! Tag me or use #bonjournal to show me yours!! !